Here’s a recipe that turned out well. 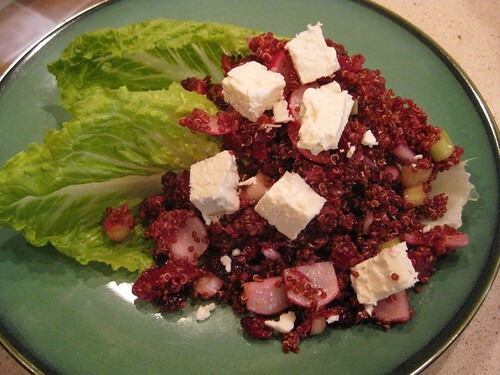 I used the recipe on the Eden Foods Red Quinoa package, served it on romaine lettuce leaves and topped with cubes of feta. Yum. The only alteration to the recipe was to add some salt….about a teaspoon for the six serving recipe.